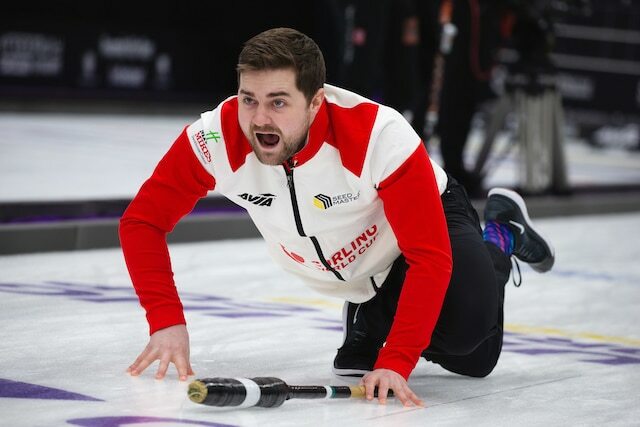 Dunstone, with vice-skip Braeden Moskowy, second Catlin Schneider and lead Dustin Kidby, drew the four-foot with his last shot to score a 5-3 win over Scotland’s Ross Paterson and earn his berth in the final against Sweden’s Niklas Edin. The final will have the added pressure of playing against a team of Edin’s stature, as well as the home-side favourite, but Dunstone says his team is ready. 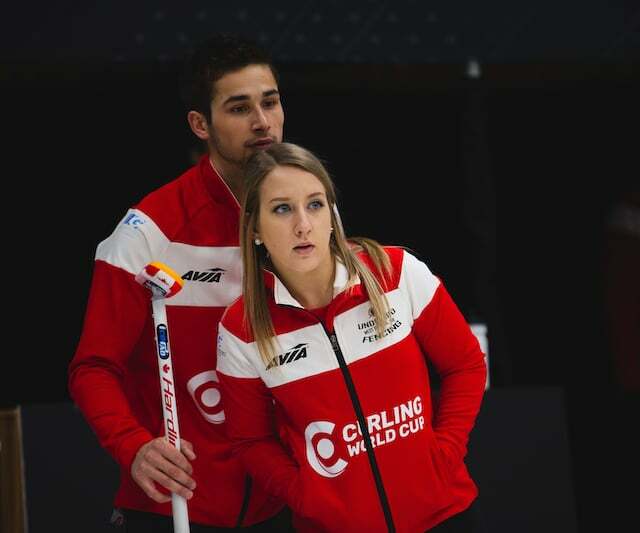 Mixed doubles duo Sahaidak and Lott needed a bit of help to earn their spot in the gold-medal game. They came into the final round-robin game trailing Switzerland’s Jenny Perret and Martin Rios in Pool A standings. Canada’s 7-5 win over South Korea, and Sweden’s win over Switzerland left Canada and Switzerland tied in the standings. But, thanks to a first-game upset by Sahaidak and Lott over the world champions from Switzerland, Canada earned first place in the pool and a ticket to the final. They’ll meet Norway’s Krisin Skaslien and – a familiar name on the men’s circuit – Thomas Ulsrud in Sunday’s final. But the excitement of playing in an international final carries some special significance, too. In women’s action, Sweden’s Anna Hasselborg will meet South Korea’s Kim Minji in the final at 10 a.m ET on Sunday. Winnipeg’s Darcy Robertson, with vice-skip Karen Klein, second Vanessa Foster and lead Theresa Cannon wrapped up their Curling World Cup on Saturday with a loss to China, leaving them winless in the competition. The mixed doubles final is Sunday at 2:30 a.m. ET, the men’s final takes place on Sunday at 6 a.m. ET, and the women’s final is at 10 a.m ET. All three games will be streamed on the World Curling Federation’s YouTube channel. TSN also plans to broadcast all three event finals on Sunday. CLICK HERE for TSN’s broadcast schedule.